Previously published in Kit Kelen and Mark Carthew (eds), When the Moon Is Swimming Naked: Australasian Poetry for the Chinese Youngster (Flying Island Books, an imprint of ASM and Cerberus Press, 2014) and in Richard James Allen, Fixing the Broken Nightingale (Flying Island Books, an imprint of ASM and Cerberus Press, 2014). 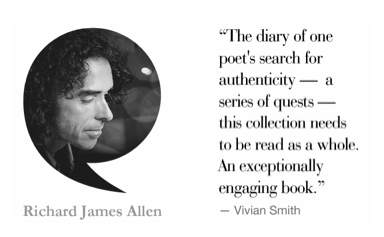 Tags: Australia, books, creativity, culture, fiction, inspiration, life, love, poems, Poetry. Bookmark the permalink.